"Comment on 'No Comment.'" RogerEbert.com contributor Ignatiy Vishnevetsky unpacks the final title card in Jean-Luc Godard's "Film Socialisme." "'No Comment,' reads the final title card of Film Socialisme. 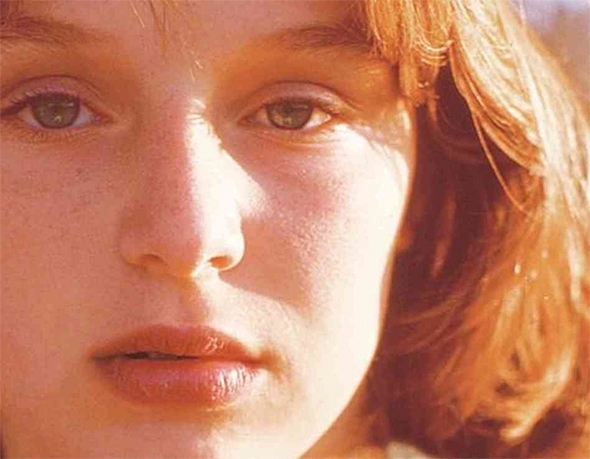 Despite being on screen for only a few seconds, it's become—in the year or so since Film Socialisme played at Cannes—the film's calling card, an endlessly Tweeted cinephilic in-joke repurposed as often to express love for the film as frustration with it. Coming at the end of a stridently polyglot movie stuffed with statements, "No Comment" stands out by being 1) a well-known English phrase and 2) the ultimate non-statement. On its own, it appears to be a puckish deflection, a great big jokey shrug to ward off interpretation and criticism, but within the context of the film—and, most importantly, as the last thing the audience sees—it reveals itself as the opposite." "'You Still Have Control'": Advice from Roman Polanski's Victim to Dylan Farrow and Other Victims. By Samantha Geimer, author of "The Girl," for Slate. Related: "Is it OK to Worship Woody Allen Anymore? Answer: No." By Bethlehem Shoals, for The Q. "Sexual abuse can be a very difficult thing for victims to admit and talk about. We should always err on the side of believing a victim, because often these things can be almost impossible to prove. Second, in America we are presumed innocent until proved guilty in a court of law. This is not a trivial matter or a concept to disregard whenever we are all just “sure” someone is guilty. The fact that a guilty man may go free to protect the innocent from being persecuted is a value we as a society have given great importance. We need to support and protect victims, but that imperative must coexist with our rule of law and the burden of proof. We see now that this can be a difficult balance." "Agee & Co: A Newer Criticism." For his blog Observations on Film Art, David Bordwell writes about certain significant trends in film criticism in the 1940s, which led to the default model of criticism practiced now. "This wing of the New York intellectuals–made of gays, Greenwich Village Bohemians, immigrant-family Irish and Jews denied access to Ivy League colleges, left-leaning traitors to the upper class–was firmly on the side of modernism and against everything that made the Old Guard, the WASPS with three names like Van Wyck Brooks and Mark Van Doren, nervous. But they still had enough of the genteel tradition in them to treat great art with a stiff solemnity. The byword of Partisan Review, the principal platform of the artistic left, was Seriousness. Enter James Agee, Manny Farber, and Parker Tyler. They wrote criticism with a zany gusto that nobody else imagined possible. They didn’t telegraph their punchlines; sometimes you couldn’t be sure that there was a punchline, and sometimes there seemed to be too many. As for popular culture: They seemed, with reservations, to like it a lot. They liked being unSerious, which only lent greater oomph to the moments when gravity was demanded." "It's Called Internal Bleeding, F----r!" The Mushy Invasion of Boltie in James Gunn's 'Super.'" 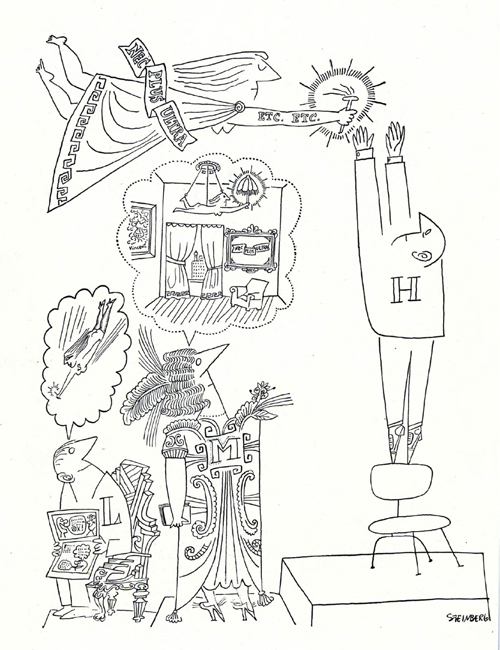 By RogerEbert.com's Ian Grey, for his blog The Grey Indexes. "'Super' only seems to be the story of a loser fry cook Frank (Rainn Wilson) turned superpowerless superhero--the ‘Crimson Bolt ’. That the widespread critical dis that the Crimson Bolt aspect was one-note and bleh only stands if you think the film is about Wilson’s Crimson Bolt. Luckily, it’s my stance that it is not the case. The Crimson Bolt is actually a blank page on which Gunn paints his true picture, that of the dynamic, full-character-arced, hilarious story of Wilson’s side-kick, Boltie (Ellen Page, in a ridiculously go-for-it, sui generis performance)." "The Comedy Club Theory of Dictatorship." By Mark Mason, for The Spectator. "What I am talking about is the gratuitous ‘let’s pick on someone in the audience’ merchant. 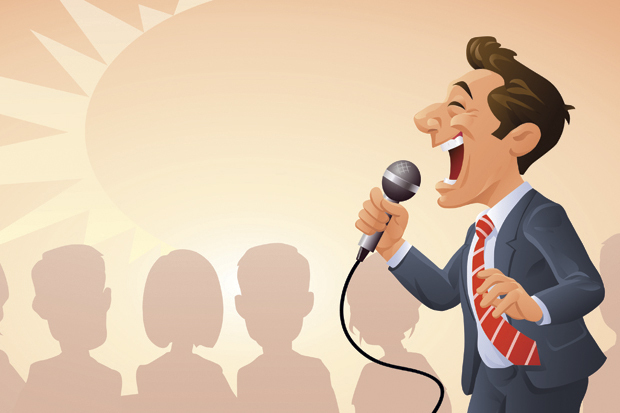 Often it’s the compère, who doesn’t have time to do a full routine. Mocking an unfortunate in the third row is a cheap and easy way of uniting the audience, getting the evening running. That’s why the comedian so often asks what the person does for a living — a lot of people are going to say ‘lawyer’, ‘civil servant’, ‘estate agent’, or some other job for which the act has prepared put-downs. Plenty of us do jobs we’re not proud of as a way of paying the rent. Some of the people sitting around that victim, laughing at the 19th lawyer joke, will be lawyers themselves. But they don’t care: they’re just glad to be the lawyer that wasn’t picked on. " 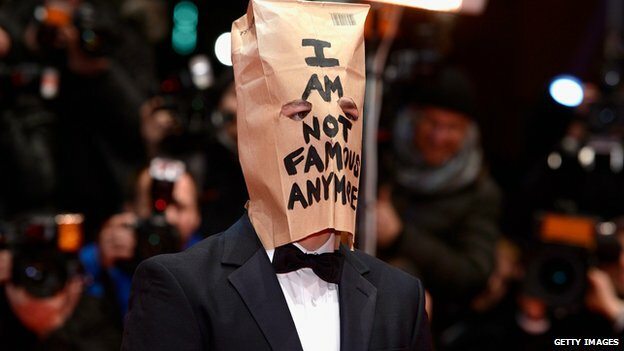 Shia LaBeouf wearing a paper bag on his head at the Berlin Film Festival premiere of Lars von Trier's new film 'Nymphomaniac." Photo by Getty Images for The Guardian. Details here. RogerEbert.com contributor Krishna Shenoi's widely-viewed 2013 Steven Spielberg animated tribute, which was acknowledged by the director himself. For a complete account of the short film's creation, with stills, click here.